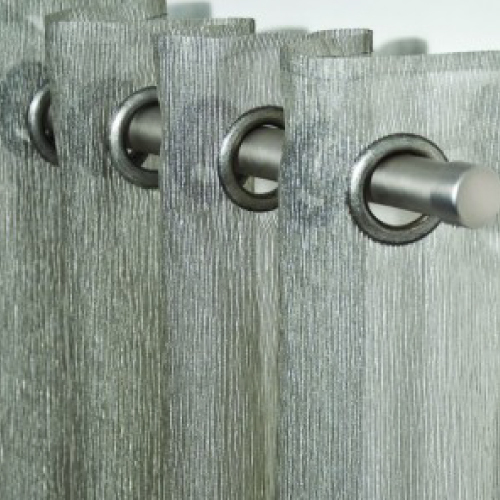 Drapery hardware is an essential touch for all custom window treatments. Hardware should not only reflect your style, but should perfectly suit the window. 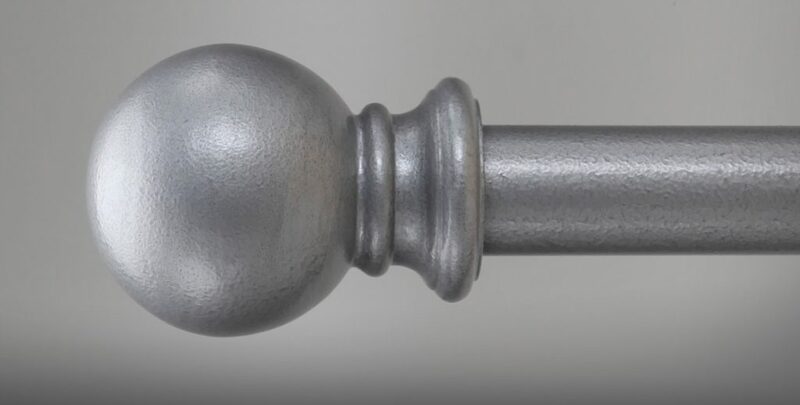 From window rods, finials, rings and tiebacks, Langguth Design will help you select the hardware to complement the style of the drapes. 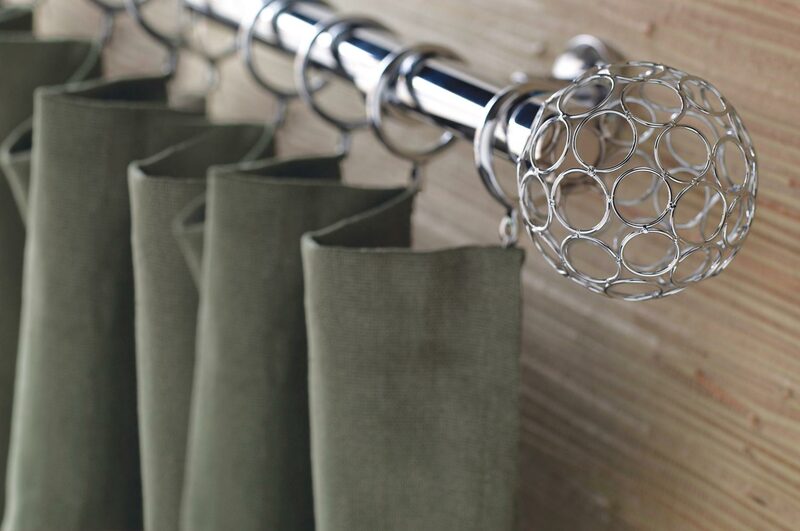 Drapery hardware comes in a myriad of styles and finishes. It is not an afterthought. 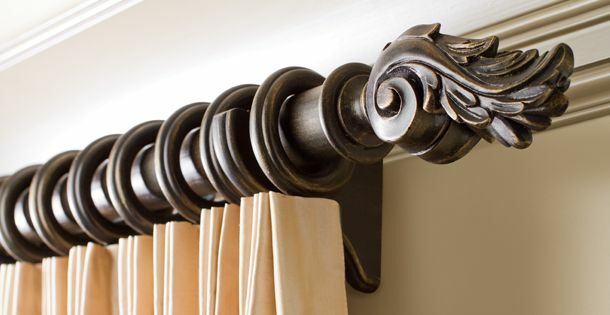 Hardware is a functional, expressive touch that helps accentuate your custom drapery. We select the right rod and hardware for the right application. 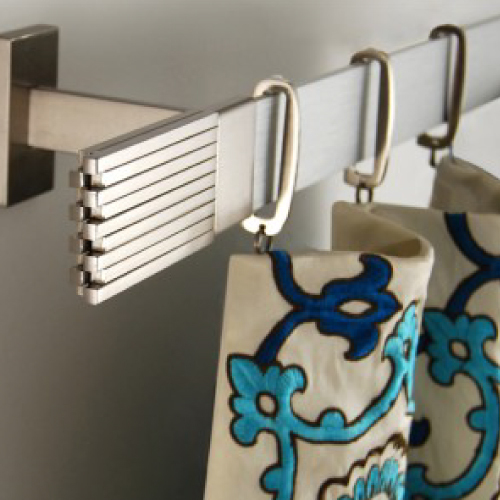 While drapery hardware may simply seem like an aesthetic piece, each piece of hardware has a different purpose. We believe in thoughtful design that takes into account aspects like projection, drapery fabric, and function. 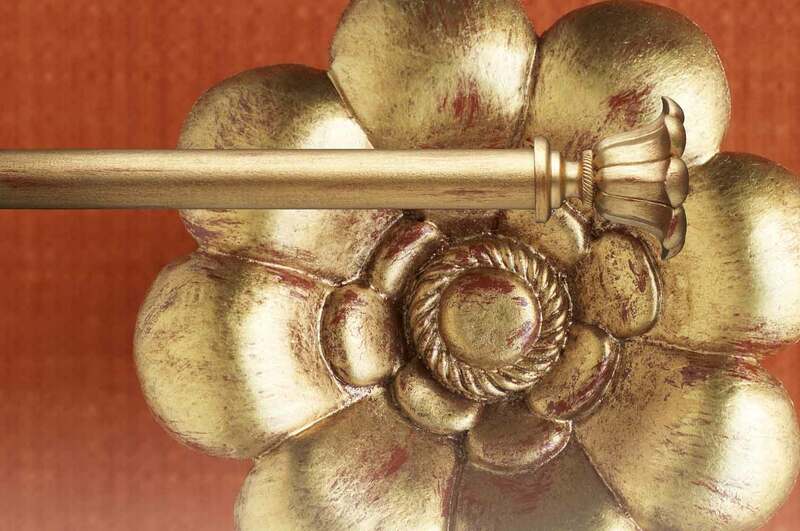 For nearly three decades Brimar has built an innovative line of decorative trimmings and drapery hardware cultivating signature designs in residential and commercial spaces. 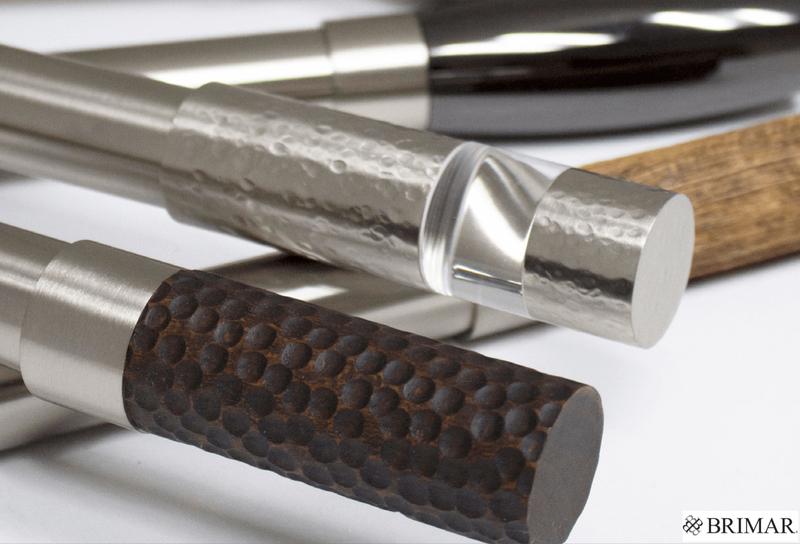 Being distinctive in design and finish, Kirsch meets the demand for a strong, practical and durable rod. The Kirsch rod will not sag, tarnish or rust and its telescoping ability made fitting any size window possible. 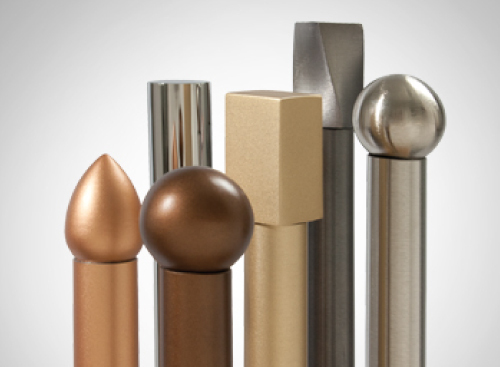 Orion Ornamental Iron, Inc. is an innovative custom drapery hardware manufacturer based in North Hollywood, California where we design, fabricate and hand-finish all of our products. 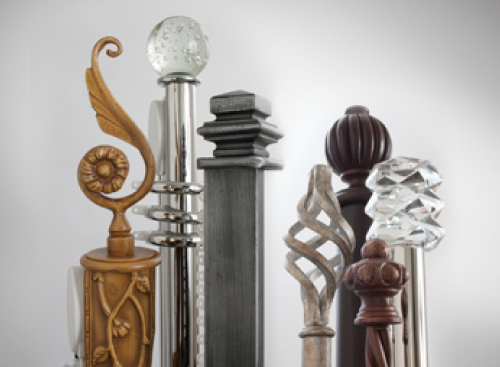 At The Finial Company, customization has always been our custom. We believe creativity flourishes when the mind is free to explore. No limitations, only infinite possibilities – for every space imaginable. 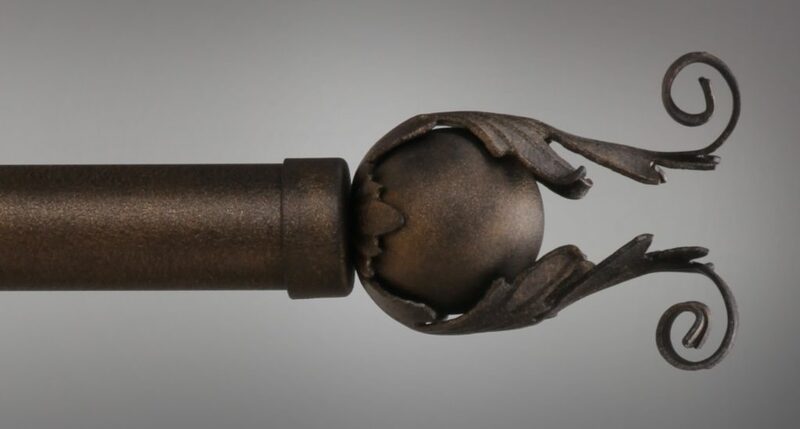 Le Fer Forgé Drapery Hardware manufactures the finest interior and exterior drapery hardware. 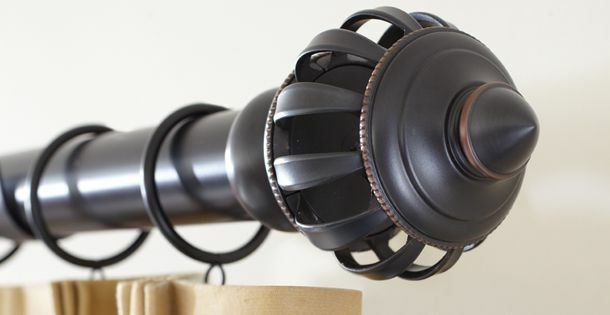 We only use premium, American-made materials, including aluminum and stainless steel poles produced by mills in the USA. As a leader in decorative interiors, our goal is to give our clients a beautiful home that is both comfortable and efficient. We look forward to turning your house into your dream home.